Daugava spare stadium is located in Jūrmalas Park area. Football field`s 101mx64m large area is covered by the latest generation artificial lawn. For visitors` convenience in the sea side of spare stadium has built spectator grandstand, which provides seats for approximately 656 football fans. "Daugava spare stadium spare" has artificial lighting, so football can be played also at night. 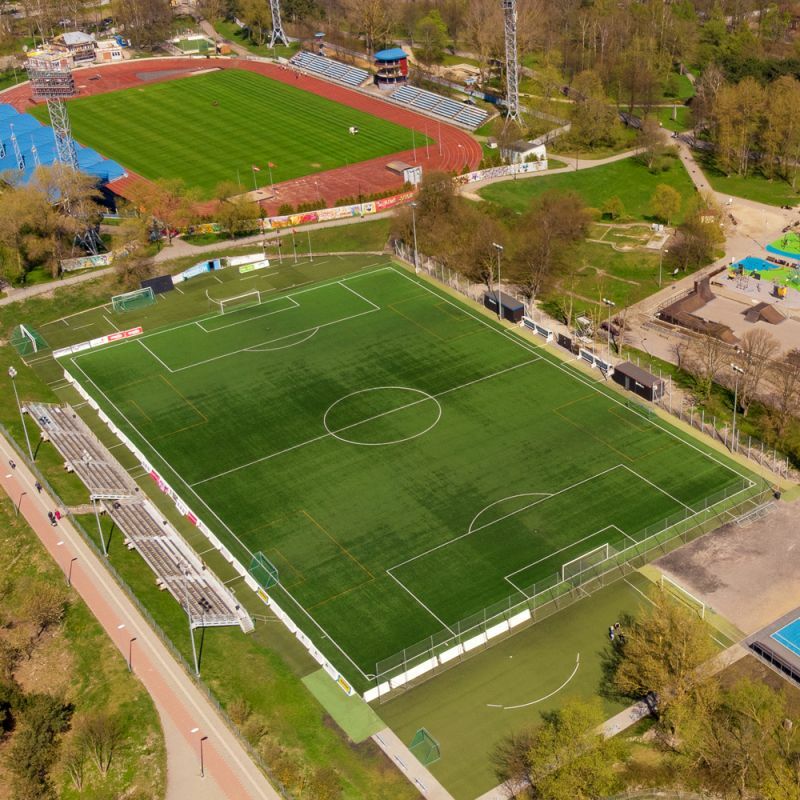 During time when the stadium "Daugava" is not ready to gather visitors, spare stadium is suitable for reception of both, football players and fans.